ACOTEX® PTFE is the next generation of ePTFE technical outerwear. 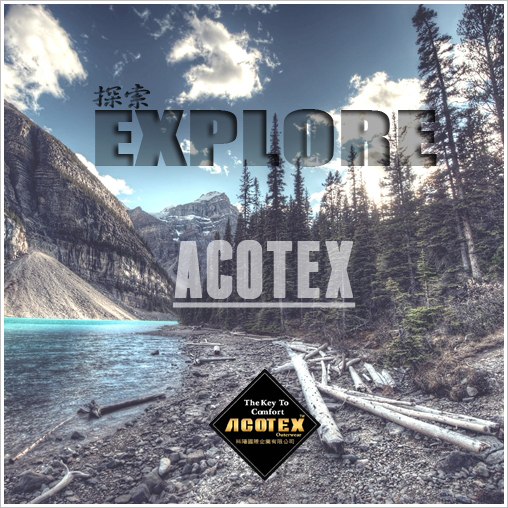 ACOTEX® PTFE products are designed and developed to go beyond traditional PTFE outerwear - durably waterproof and breathability, abrasion resistance and stretch. ACOTEX® PTFE products are built to last and easy to care for, which means they are all machine washable so there is no dry cleaning necessary for all your outerwear. 何謂抗UV布料? | What are UV Protective Fabrics?